Description: The Dardennes create tension out of human drama and draw believable, excellent performances from their entire cast. Cyril, almost 12, has only one plan: to find the father who left him temporarily in a children's home. By chance he meets Samantha, who runs a hairdressing salon and agrees to let him stay with her at weekends. Cyril doesn't recognize the love Samantha feels for him, a love he desperately needs to calm his rage. This affecting and gripping drama is one of the finest films from the directors of The Child, Rosetta & The Silence of Lorna. A boy who longs to be reunited with his family refuses to accept the reality of his circumstances in this drama from... the sibling writing/directing team of Jean-Pierre Dardenne and Luc Dardenne. Cyril (Thomas Doret) is an 11-year-old boy who loves his father and believes in him. The trouble is, Cyril's dad Guy (Jeremie Renier) is a bum who doesn't care about his son, doesn't want to spend his money caring for him, and has left the boy at an orphanage rather than keep him. While these facts are clear to everyone else, Cyril refuses to believe them, and his determination to be reunited with Guy, coupled with his discipline problems, makes him a chore to look after. 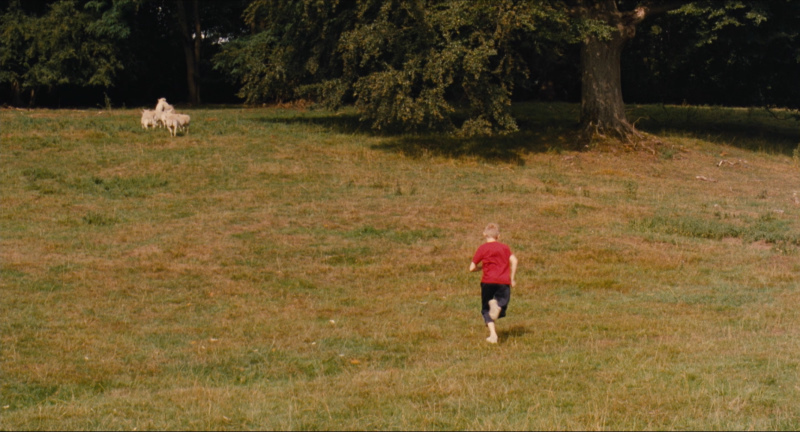 Samantha (Cecile de France), who works in a beauty shop, offers to take Cyril on weekends so he can have some kind of a home life, but her determined compassion makes only so much of an impact on the youngster, who is still convinced he can find his father. As Samantha struggles to bond with Cyril, the boy finds an unfortunate father figure in Wes (Egon Di Mateo), a small-time crook who drafts Cyril into his latest criminal scheme. Jeremie Renier, who plays Guy in Le Gamin Au Velo (aka The Kid With a Bike), made his screen debut in an earlier film by the Dardenne Brothers, 1996's La Promesse, in which he fittingly played a troubled youth. 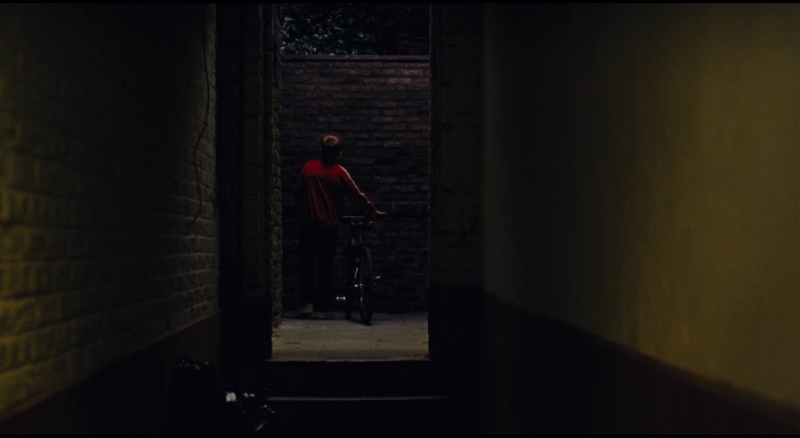 The use of the Beethoven, the music soaring, as well as what appears to be a kind of resurrection, makes it easy to read “The Kid With a Bike” as a religious allegory, though that would be reductive. One thing that makes the Dardennes’ work so vibrant, at once new and seemingly timeless, is that they ask the most urgent questions we can ask of ourselves — including, what is it to be human — and in nondoctrinaire, nonproscriptive terms. This isn’t to deny the religious influence, which runs as deep in their films as it does in the outside world, but to argue that they have recast that influence in philosophical and aesthetic terms. 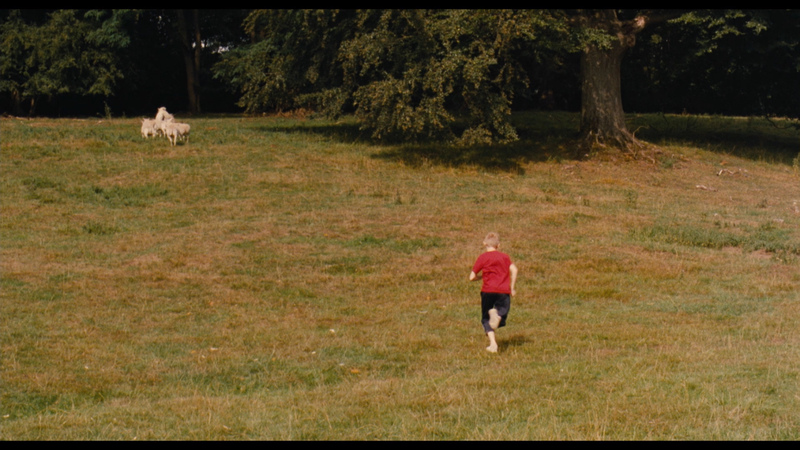 “Rosetta,” “The Son,” “The Child” and “The Kid With a Bike” are, in the most expansive sense, good works. The Kid With a Bike gets an impressive transfer to Blu-ray from Artificial Eye. It sneaks into dual-layered territory and has a strong bitrate for the 1.5 hour feature. Colors are brighter and truer than SD could relate and there is no noise in the darker sequences. The 1080P supports solid contrast exhibiting healthy, rich black levels and some minor depth in the 1.85:1 frame. It's pristinely clean showcasing some hi-def detail and there are really no flaws with the rendering. This Blu-ray probably looks like exactly the theatrical version of the film The Kid With a Bike. It seems devoid of imperfections of any kind. Differences are subtle - the dual-layering of the Criterion makes certain colors richer - like the red's of Cyril's t-shirt. But most will have difficulty distinguishing between the two. The Criterion is technically superior and the crispness and richness of the image will be more identifiable depending on the side of the viewing screen. Toggling between two exact fames (Cyril running away through the field) and there isn't much to choose from. 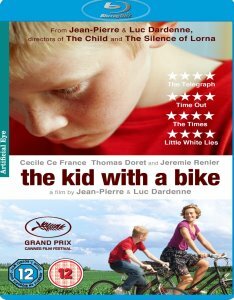 Dardenne films may be noted more for their impacting silent pauses - the AE Blu-ray of The Kid With a Bike offers a DTS-HD Master 5.1 at 2584 kbps. It has hints of separation but everything is of a subtle nature with only a couple of more aggressive instances. There is also a linear PCM stereo track and the Ludwig van Beethoven "Adagio un poco mosso" (from Piano Concerto No. 5, Op. 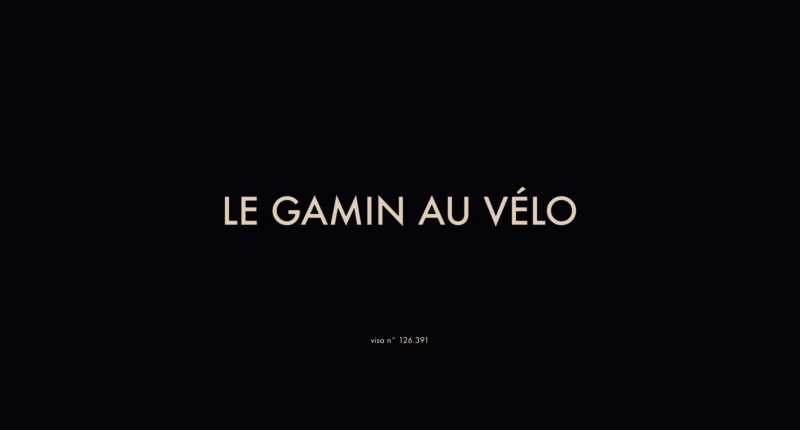 73) sounds truly magnificent in lossless. Nothing but positives here for the audio transfer as well. There are optional English subtitles and my Momitsu has identified it as being a region 'B'-locked. Criterion is, again, technically more robust - but this reviewer's ears couldn't definitively state it as being superior. It sounds perfect - the Beethoven sounds wonderful. All good - a touch of depth - consistent sand clear dialogue. the Criterion, naturally, has optional English subtitles. 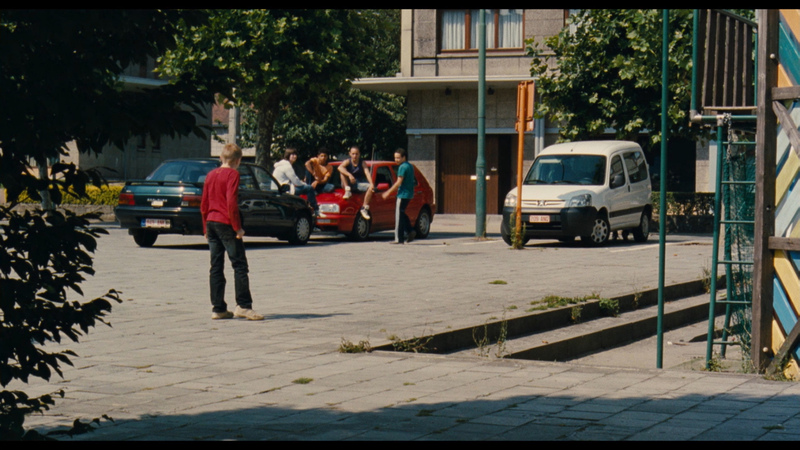 Previously we have been mostly devoid of, much desired, extras in regards to Dardenne films on digital. I was so happy to see the offerings of this Artificial Eye Blu-ray release. 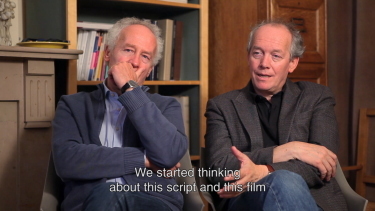 We get a half-hour featurette entitled 'Return to Seraing with Jean-Pierre and Luc Dardenne' where, among other tidbits, the brothers detail specific scene creation and part of their intricate work process. There is also an 18-minute interview with Cecile de France - both pieces are in French with English subtitles. Included is a theatrical trailer. Criterion vaults ahead with their supplements. 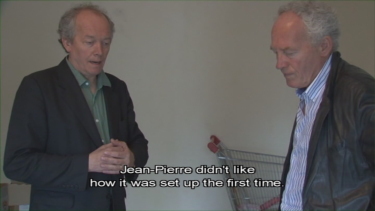 They include everything on the Artificial Eye (the 1/2 hour Return to Seraing with Jean-Pierre and Luc Dardenne, the 18-minute interview with Cecile de France and the trailer - but all three are now in NTSC time with no PAL speedup). The main extras on the Criterion is an extensive and highly interesting new 1 1/4 hour conversation between film critic Kent Jones and directors Jean-Pierre and Luc Dardenne recorded specifically for Criterion in Liege, Belgium. It has English subtitles and covers a lot of ground with a keen insight into the areas that the brothers focus on in their filmmaking. There is also a new 6-minute interview with actor Thomas Doret and their usual liner notes booklet - thsi time featuring an essay by critic Geoff Andrew. Once again the Dardennes create cinema at its purest, most emotionally sublime, level. 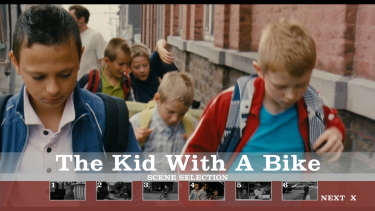 The Kid With a Bike is another masterpiece which time will regard in extremely favorable terms. Nice to see Dardenne regulars Jérémie Renier, Fabrizio Rongione and Olivier Gourmet as part of the impressive production. The Artificial Eye Blu-ray provides and excellent a/v presentation with very appreciated supplements. This is easy to put in the 'must-own' and 'don't hesitate' category for digital librarians everywhere. I enjoyed The Kid With a Bike even more from seeing it 6-months ago. 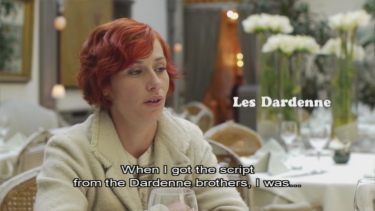 The Dardennes may still be my favorite living directors and the conversation with Kent Jones on the Criterion is very much appreciated. This is just brilliant and pure filmmaking and an easy, and very strong, recommendation.